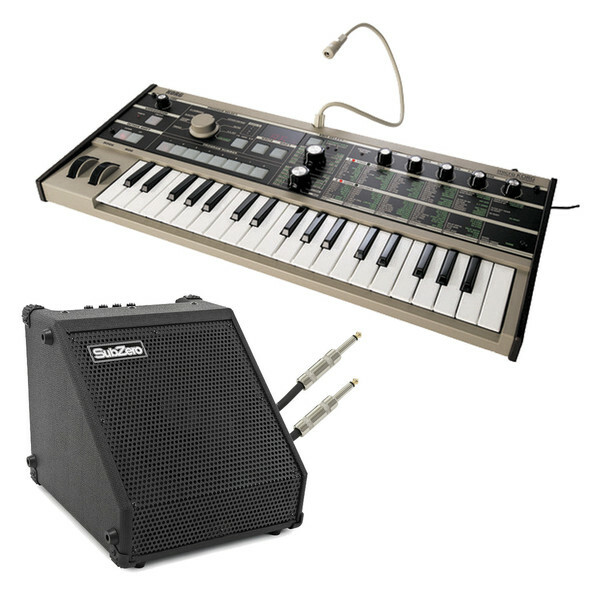 Great sounding miniature analogue modelling synth with Vocoder and a SubZero DR-30 Keyboard Amp by Gear4music. 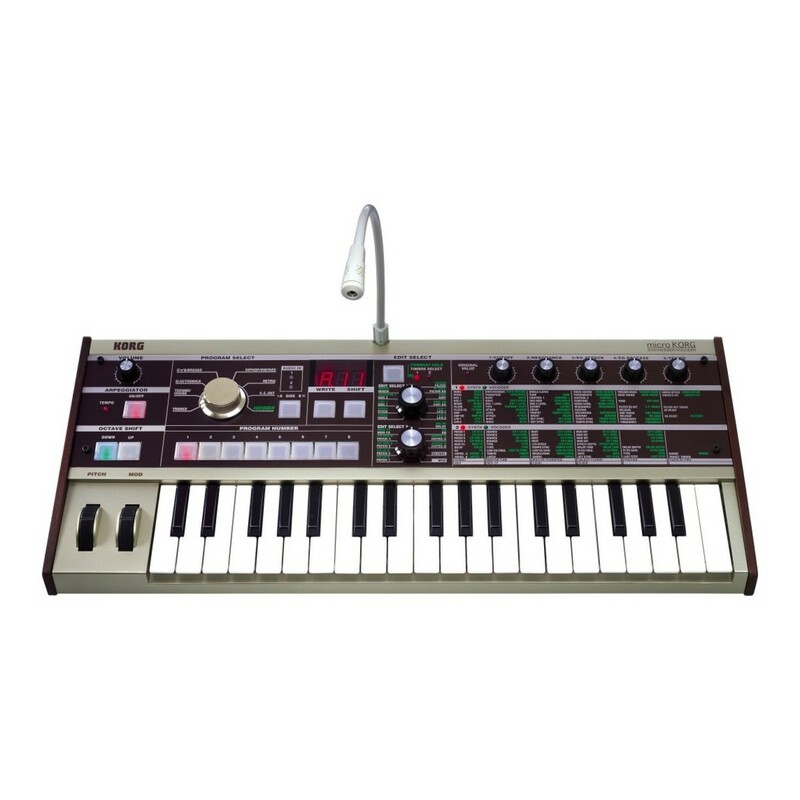 The microKORG boasts the same dual-oscillator DSP synthesis engine found in Korg s critically acclaimed MS2000 and offers a wider selection of waveforms than any other modeled synth. Input Sensitivity: Normal 80mV, F = 1Khz. SubZero are constantly striving to provide the best quality audio equipment at an affordable price, that makes sense to the modern musician. With a strong focus on research and development, SubZero are always striving to bridge the gaps in the market, and provide products that perform, without breaking the bank. With a full range of audio equipment including Amplifiers, Speakers, Mixers, PA, Microphones and Electric Guitars; SubZero products feature the same attention-to-detail that one would expect from any high quality audio manufacturer. 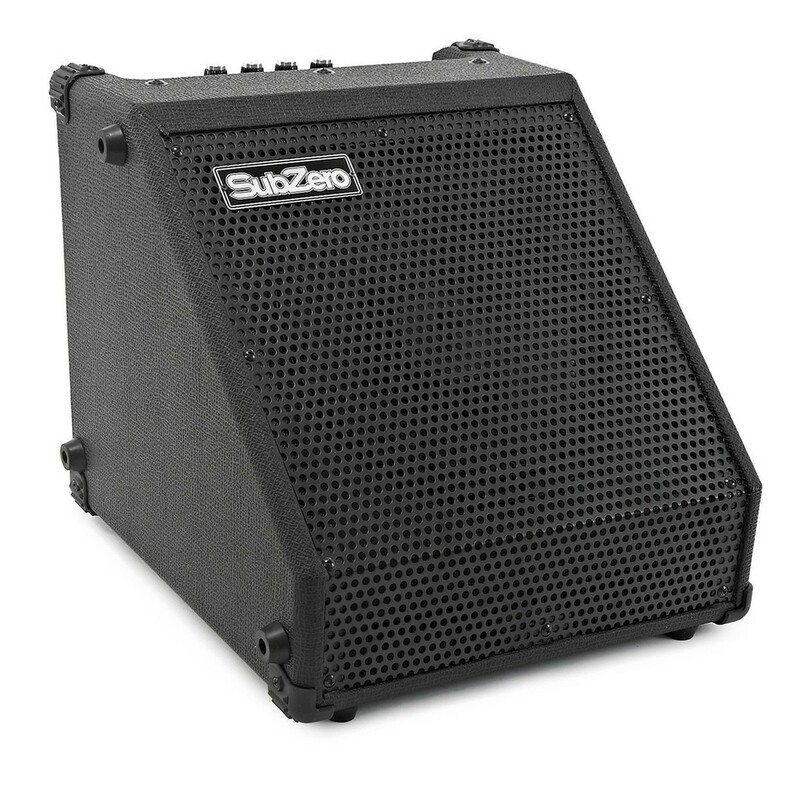 SubZero are proud to deliver the ultimate in value, power, looks and sound.